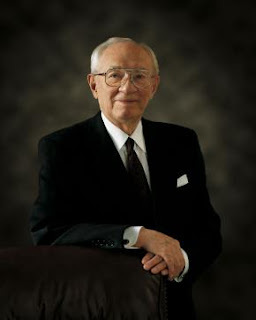 Looking back on prophets of the church, Gordon B. Hinckley is one that I will always fondly remember as he served as prophet for half my life up to this point. He was an amazing man and I can't help but think what a happy reunion he has had with his sweet wife. He will always be remembered. Yes he will. He was an amazing prophet!